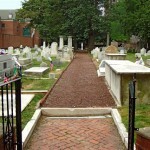 Follow the brick and cinder walkway to enter into the early history of Philadelphia and these United States. 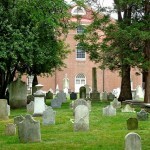 Opened as a burial ground for Catholics, one can follow the progress of liberty and charity from those entombed here. 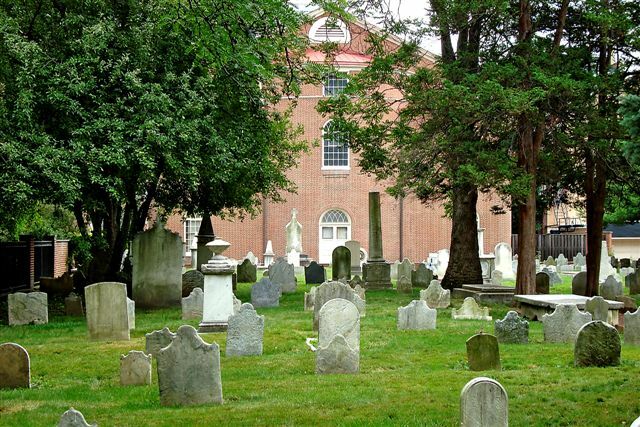 The first burial was the infant Ann White, the great granddaughter of James White, the ninth Chief Justice of the United States Supreme Court. Commodore John Barry, the Father of the American navy and his family lie close to such illustrious patriots as Thomas Fitzsimons, a signer of the Constitution, Stephen Moylan, Gen. Washington’s aide-de-camp, the French Maj. General Phillippe du Coudrey, Matthew Carey, prominent publisher and pamphleteer, and the local soldier Emanuel Holmes. 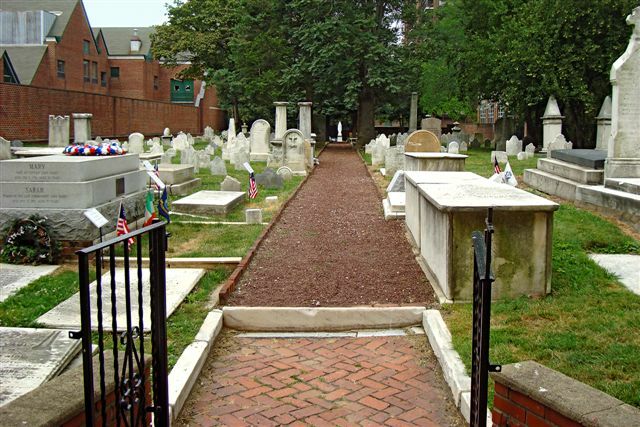 The cemetery also contains the remains of prominent Philadelphians, such as George M ea de, Michael Bouvier, James Campbell, the Civil War Hero Maj. Henry C. Whelan, children from St. Joseph’s Orphanage, started in 1797, innumerable victims of the dreaded yellow fever plagues of the last decade of the 18th Century, as well as various early foreign dignitaries such as Don Juan Bernabeu of Spain and Manuel Torres of Columbia. Discover their history. Discover the lives of those who help create and continue this great nation.